The first ever live-action Pokemon movie is coming our way next year in the form of Detective Pikachu. It's probably not what many fans would have expected, but the fact that we're finally going to see these creatures brought to life should be exciting, nevertheless. 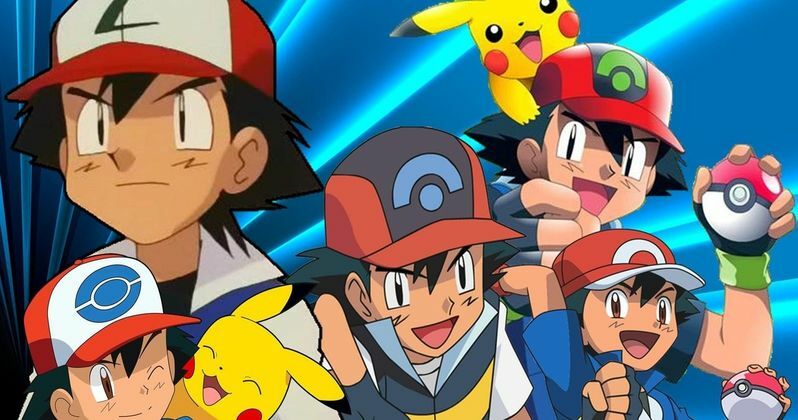 Now, director Rob Lettermen has opened up a bit about the upcoming movie and explains why Ash Ketchum, the most recognizable human character from the franchise, isn't going to be in it. We recently got our first glimpse at the Detective Pikachu poster, which looks to be inspired by noir crime thrillers. Following the debut of the poster, Rob Lettermen, who previously directed the Goosebumps movie, talked more in-depth about the project and specifically addressed the noticeable absence of Ash. According to Lettermen, it had everything to do with wanting to do something new. Here's what he had to say about it. "The Pokemon Company, they've already made many, many movies of Ash, and they came to Legendary with this idea of using a new character. So when I came on board, I was pitched this character of Detective Pikachu, and I fell in love with the story behind it. It's a really great story. It was something with a lot of heart, and it was just very unique. And because there's already been so much work done with Ash, for the first live-action movie I thought it was a really good idea to try something new with a new character, but bake it into the universe of Pokemon. So it still follows all the rules, and we get to see a lot of our favorite things." Not only is Ash Ketchum the most recognizable character, but he's tied very tightly to Pikachu. But this isn't your usual Pikachu. This version is going to be voiced by Deadpool star Ryan Reynolds and will be working with the movie's lead character, played by Justice Smith (Jurassic World: Fallen Kingdom), a teen who is trying to solve the disappearance of his father. Ash or no Ash, one thing Rob Lettermen promises is that the Pokemon themselves will look incredible, which is certainly important. "They're incredibly real, you should think of it as the way [Marvel's Guardians of the Galaxy character] Rocket Raccoon sits in the movie as if he's really there. It's that technology. The same group of people that worked on that, or worked on Jungle Book. We've got the people on it that worked on Fantastic Beasts. They're technically, some of the most high-end visual effects in the world. It's completely photorealistic, like they are alive and in the movie." Rob Letterman wrote the script with Nicole Perlman (Guardians of the Galaxy). Originally, Detective Pikachu was set to arrive on May 10, 2019. However, the project recently moved from Universal to Warner Bros., which likely means that release date won't stick, but it's still set to arrive in theaters next summer. This news comes to us courtesy of IGN.